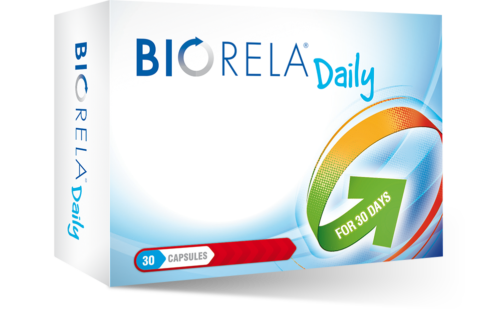 What is Biorela® Acute Boulardii? 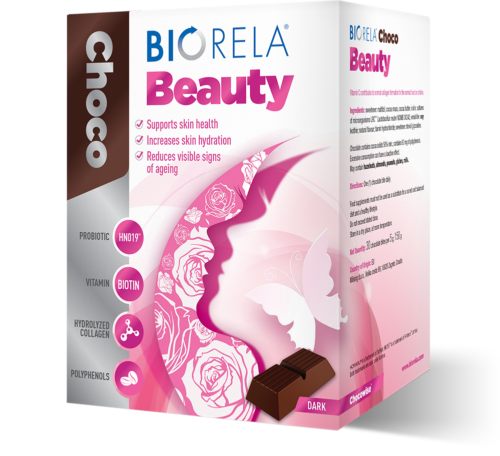 Biorela® Acute Boulardii is a food for special medical purpose, intended for children and adults in case of diarrhoea and for the restoration of the intestinal microflora. How does Biorela® Acute Boulardii work? 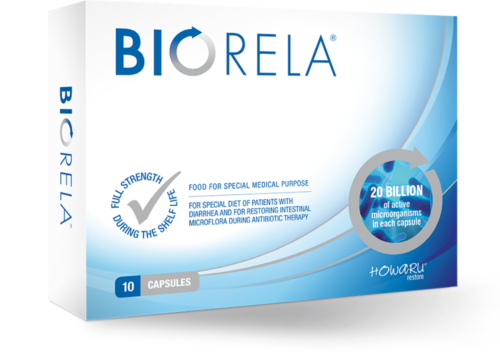 Biorela® Acute Boulardii alleviates diarrhoea and contributes to restoring the intestinal microflora. 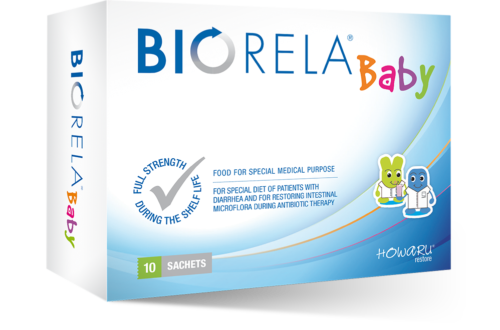 Children from 2 months of age up to 1 year: ½ sachet a day. 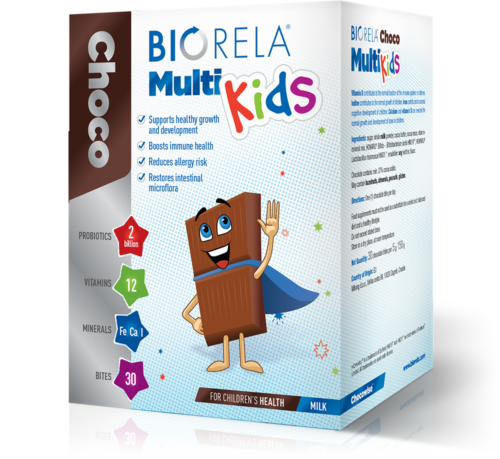 Children from 1 year and adults: 1 sachet per day. 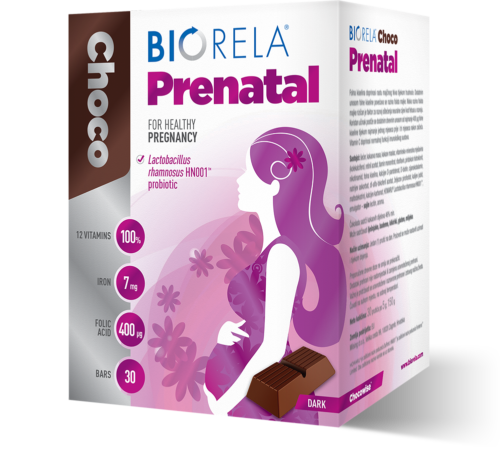 Mix the contents of the sachet with water or milk or infant formula and give to baby. 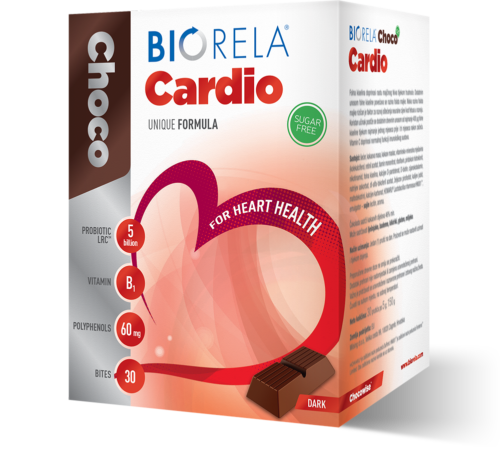 The prepared solution can also be mixed with juice or yoghurt. Do not mix with hot ingredients. Adults may take the powder directly into the mouth. 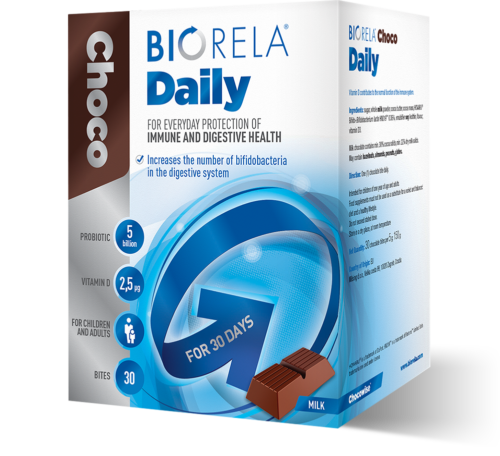 Contains lyophilized culture of Saccharomyces boulardii, which alleviates diarrhoea and contributes to restoring the intestinal microflora. 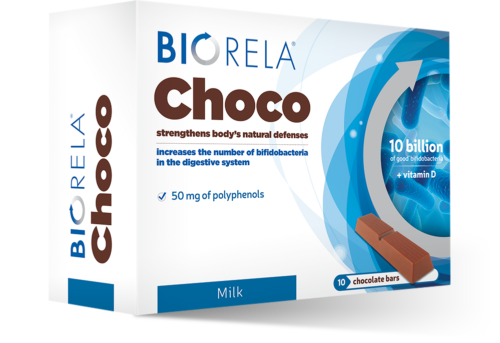 A strong dose of 10 billion Saccharomyces boulardii. 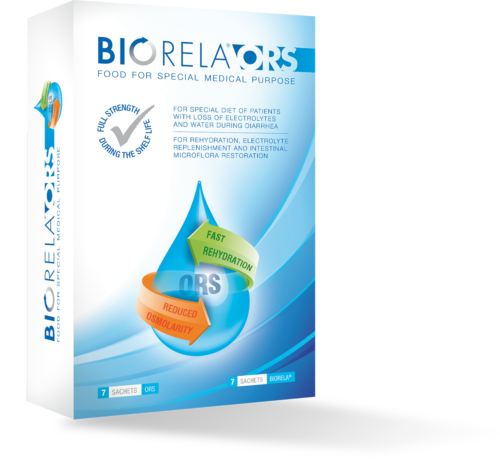 Saccharomyces boulardii is resistant to stomach acid, bile salts and antibiotics – therefore it can be used along with antibiotics. Suitable for children from 2 months old, and adults. It can be mixed with drink, food or taken directly into the mouth. 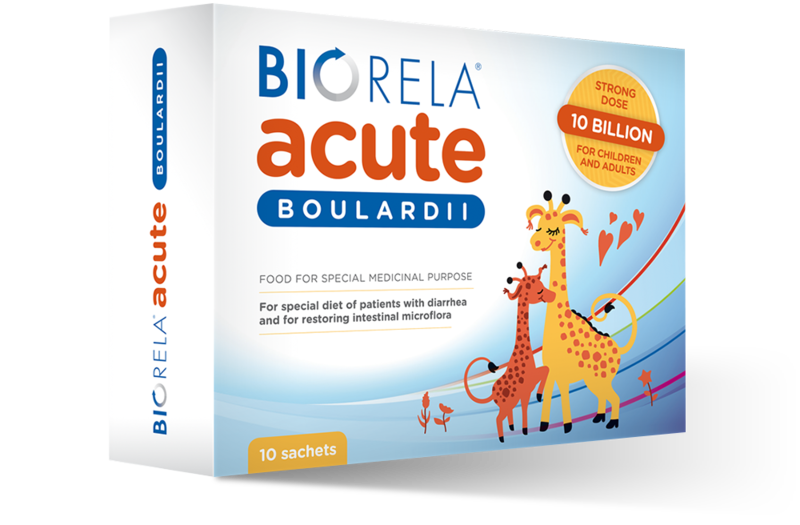 Biorela® Acute Boulardii contains only two ingredients: dextrose and lyophilized culture of Saccharomyces boulardii. It contains no additives, preservatives or aritficial colourings.